Except for companies whose marks (Nike, Apple) have gained prominence to stand on their own, a large percentage of logos are composed of both images and letters. It is therefore not surprising that typography has become very important in the design of a logo or brand. Look around you – you’ll see different typographies in books, magazines, on the Internet, and on products, among other things. Each of us probably sees 100+ typographies before we get to work every morning. When images and letters are used together in a logo, there are many different techniques to combine the two: the text can be adapted to curves and forms in the images or the images can be adapted to work with the text. Designers who don’t understand the importance of typography are often unable to cleverly and effectively create memorable and successful designs. Although most designers will use one of the thousands of fonts available today,designers can also use specialized illustration programs to make modifications to fonts – the modifications are limited solely by the designers’ creativity. 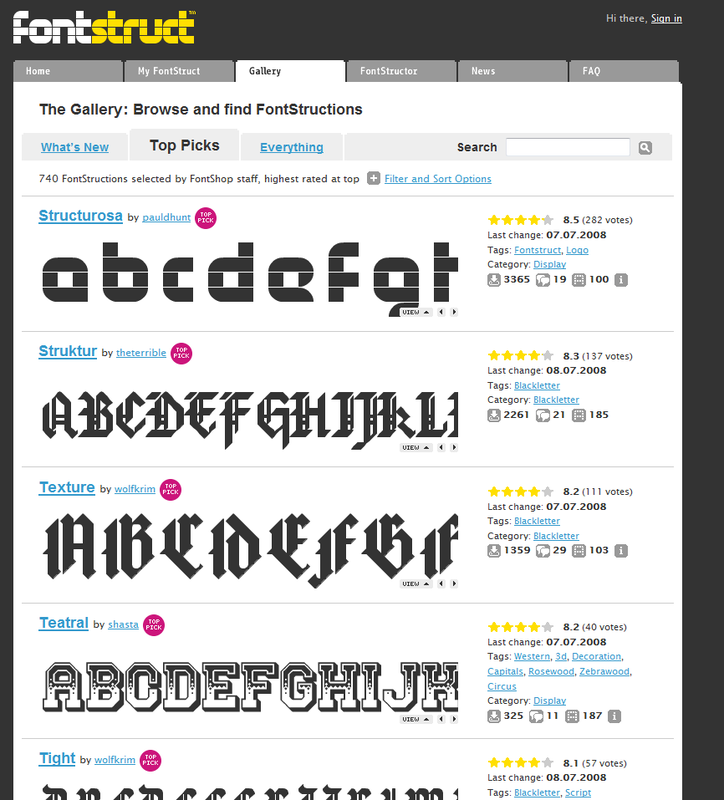 A new startup, FontStruct (http://www.fontstruct.com), offers a free font-building tool. Using this tool, anyone can create unique fonts constructed out of geometrical shapes. 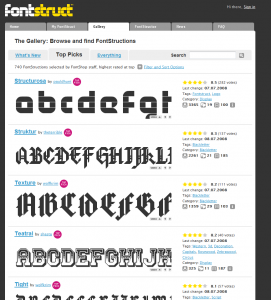 And when finished, FontStruct generates high quality TrueType fonts ready for use in graphics applications. And one of the coolest things about FontStruct – you can offer your fonts to others using Creative Commons licensing, or license fonts created by other people. This is an excellent way to find new and unique fonts not available elsewhere and for the designer with a keen eye and understanding of typography – a goldmine of new materials to shape into beautiful logos.